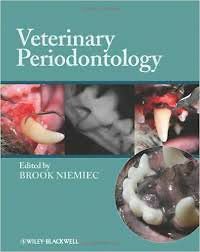 Veterinary Periodontology is a comprehensive yet user-friendly reference on periodontal disease in dogs and cats, encompassing etiology, pathogenesis, and clinical features. Emphasizing clinical management of this common dental disease, this book covers basic as well as advanced treatments, offering practical instruction on therapeutic procedures. Veterinary Periodontology builds on existing human-based knowledge to provide veterinary-specific information on the periodontal disease process, therapies, patient management, and instrumentation. The book presents detailed information in an accessible format, including numerous step-by-step procedures for use in the clinic. Full-color images aid in comprehension. Veterinary Periodontology is beneficial for anyone who practices veterinary dentistry, including specialists, general practitioners, students, and technicians.